The classy look is not for the CEOs. Learn how to outfit your friends with mind-blowing undercut hairstyles. While it’s true that the past decades were not trendy because of limited fashion awareness, the current generation is filling the gap. 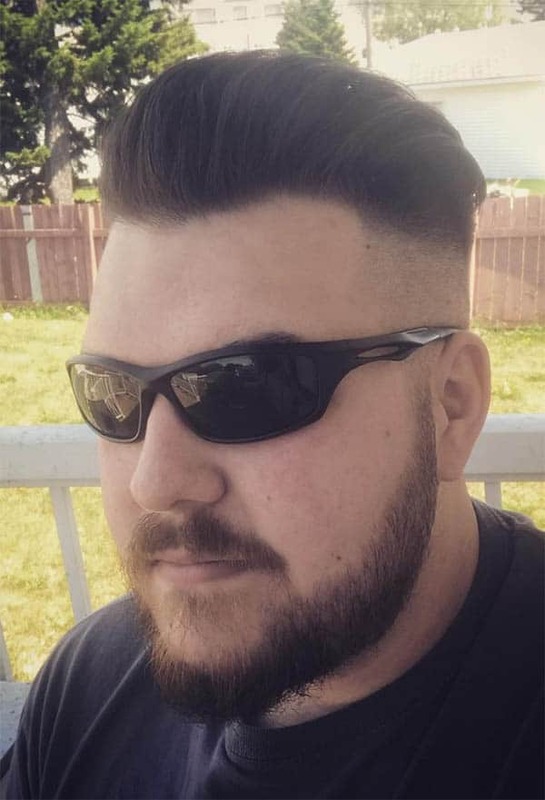 We have seen the best of haircuts on men. From the Mohawk to the Ivy League, the list continues to go on. These hairstyles demand a lot of professional touch to come through and you will need some styling tools to keep them glowing. Take the undercut. 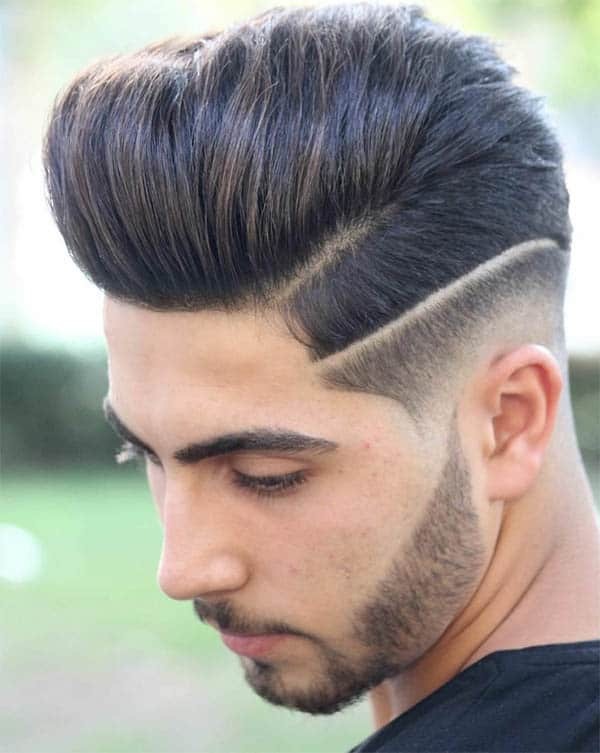 The cut has never gone out of style and has been adding boosts to men’s hairstyles. The flexibility allows you style it into different cuts. 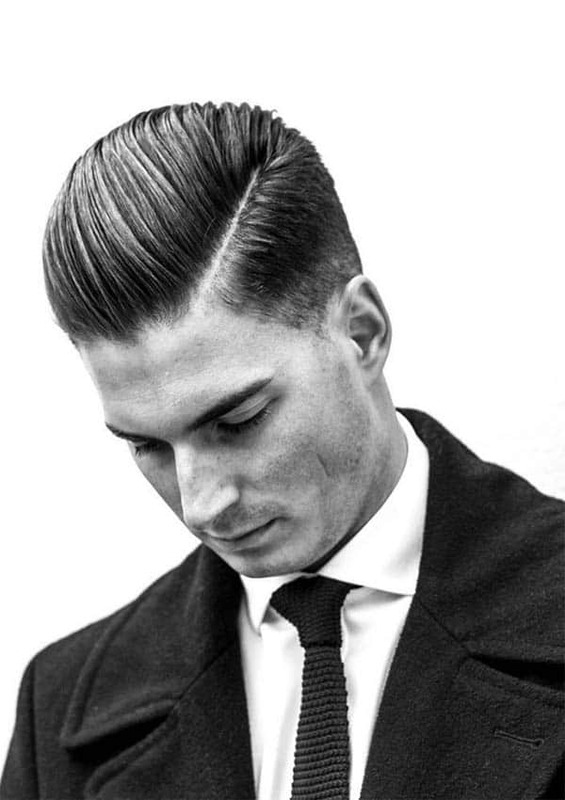 The pompadour, slick back, and blowout are some styles you can try. You will need a haircut anytime soon. To give yourself a head start, here are 47 variations to the undercut haircut you can choose from for a trendy outlook. You can pull of the trick in this cut by keeping your hair long. A voluminous hair lets you style the cut backwards. The key to pulling this off is keeping the top long and leaving undercuts below. The sides and the back can keep the skin cut for a clean look. The comb over haircut comes in to play on this style. To pull this trick off the undercut hairstyle, direct your barber to use skin fades at the sides. If you love some adventure, let the fade extend to the back. 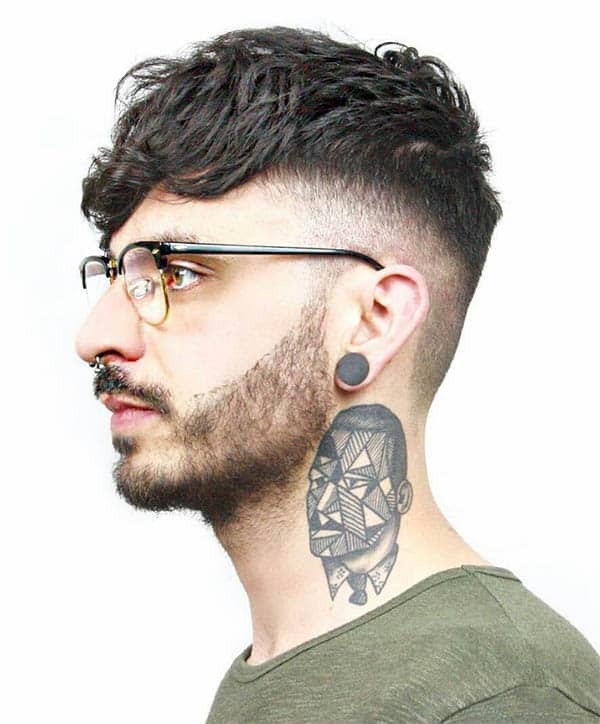 With the neat undercut, the medium curly hair at the top can then style to the sides. A gel is the perfect tool to keep this trendy. This is for the men that love stares when they walk into the mall. 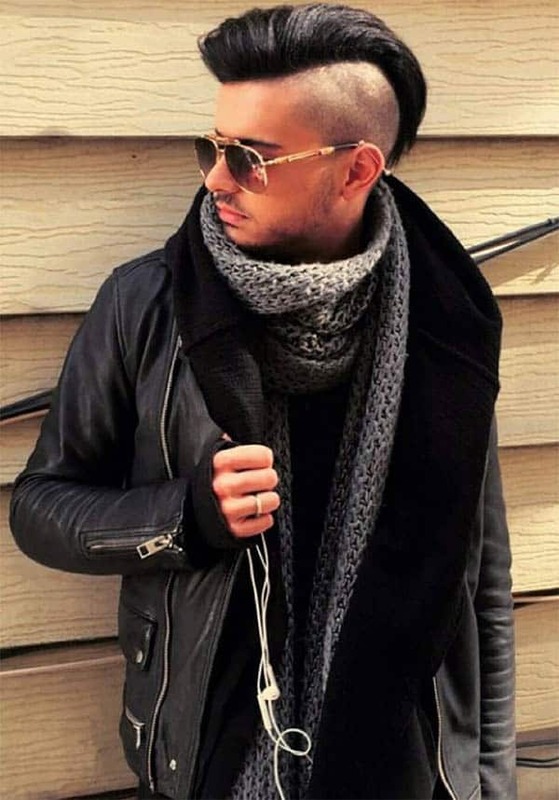 The undercut haircut and a Mohawk hairstyle are tools to get attention. The hair at the top takes the form of the Mohawk with the steeply angled resemblance. Shaving the sides and backs to the low fade is a good way to distinguish the top from the undercut. This style is not only for the oldies. The vintage style can come in to the undercut. If you are one of those that love the vintage look, consider styling this cut. The long top styles backward and fades compliment the sides and back. 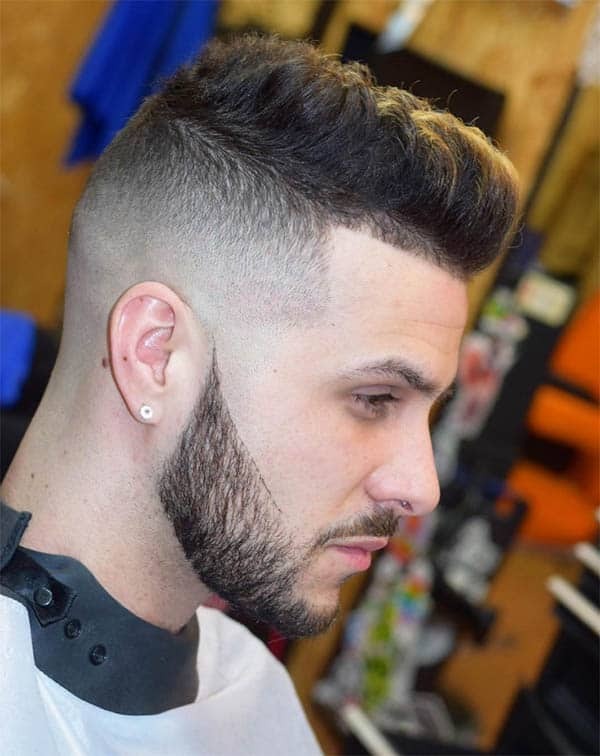 The versatility of the pompadour hairstyle is the reason why men take interest in the cut. This time, you can take your haircut goals higher by styling your undercut with a touch of the pomp. The elongated top sits comfortably and the undercut start at the corners of the forehead with clipped sections. 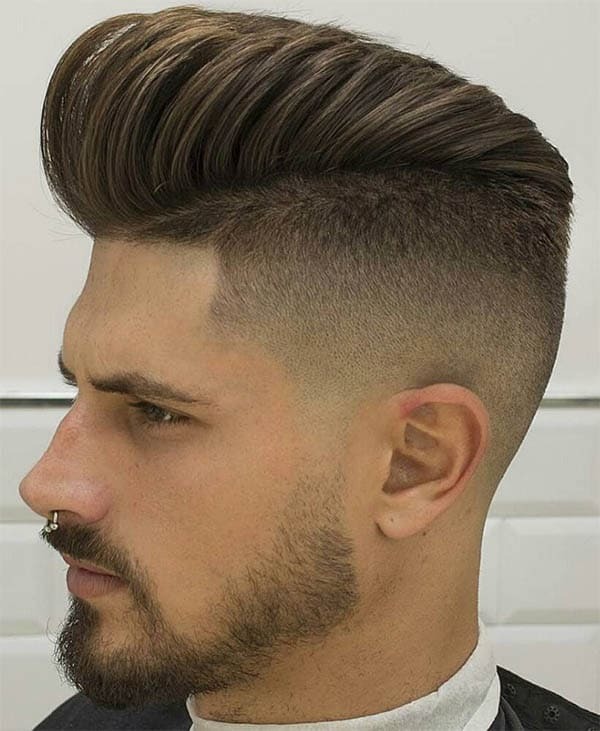 If you crave for a haircut that suits your facial features, the wavy top that styles into the undercut is a good option. Being choosy with what you wear on the top is not a turnoff with this cut. The detailed cut lets you keep simple undercuts at the sides and nape. The medium-length top then styles back in wavy strands. 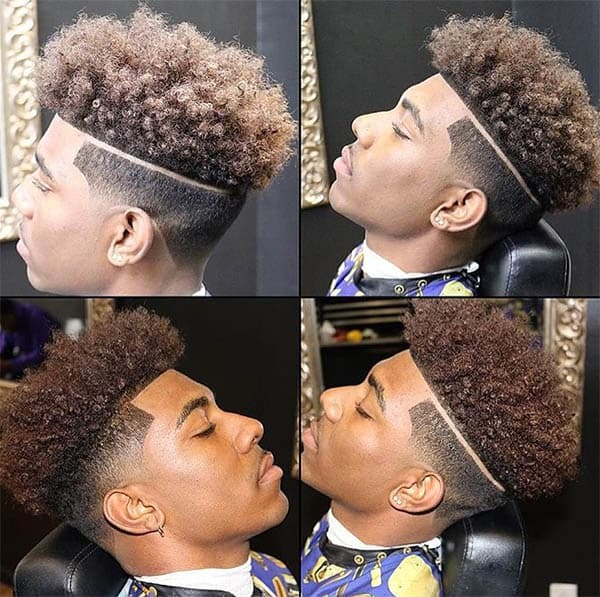 The afro cut is a unique style that styles into different cuts. If you love adventures and can maintain a well-styled afro cut, this is for you. 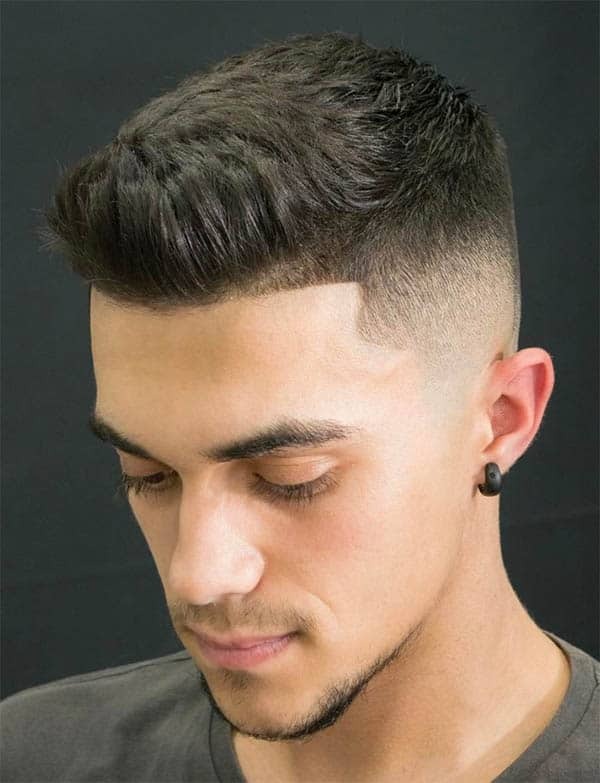 The undercut features angled clean-cut line that distinguishes the undercut from the top. The fades pass all the way through the sides to the nape. 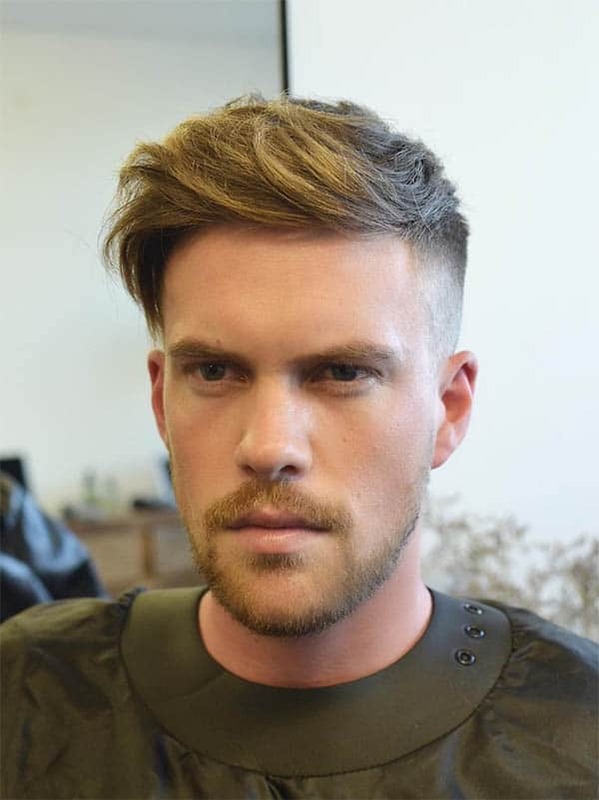 While the undercut takes different shapes, it does not toss away the textured cut. The simple yet clean look that comes through with the style looks perfect on square faces. 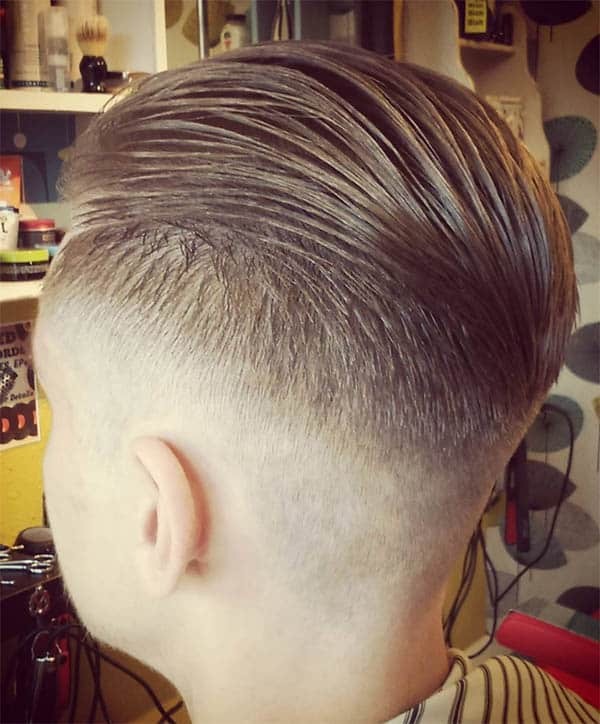 The tapered sides keep a short look that brings out the distinct characteristic of the top. There is no better way to bring out the impressive features of the undercut than throwing two styles at a go. Talk about getting two distinct look at the price of one! The double layer entails keeping a short trimmed part below the longer hair at the section. The looks are well-cut with a side part and well-trimmed beard. The Mohawk can actually look good without few strands at the sides. This inspired-Mohawk undercut lets you style with few strands at the back and sides. The steeply angled cut lets the longer top style from the forehead to the nape. 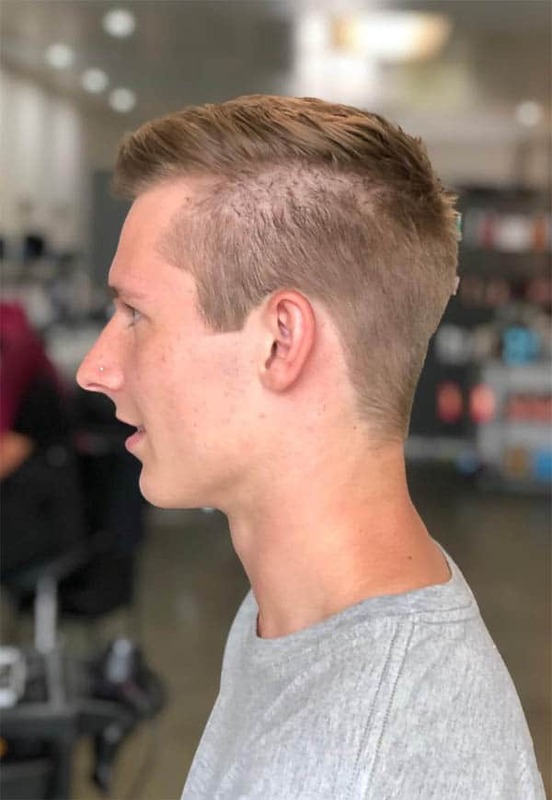 The sides do not necessarily need to have fades to be an undercut. Try throwing in some tapering to bring out your looks. The wavy top gets tricky when you want to taper the sides. 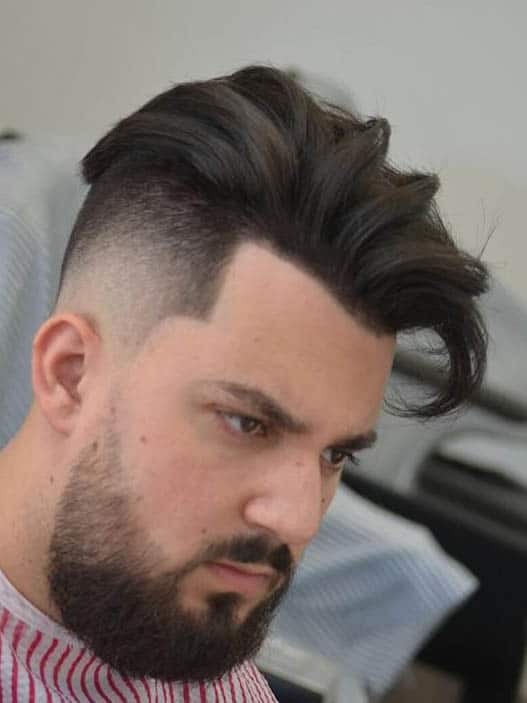 If your barber is good at the job, you will not have hassles fixing this style. You can also give the top a good density by brushing it backward. The style enhances when the sides get some shaving. 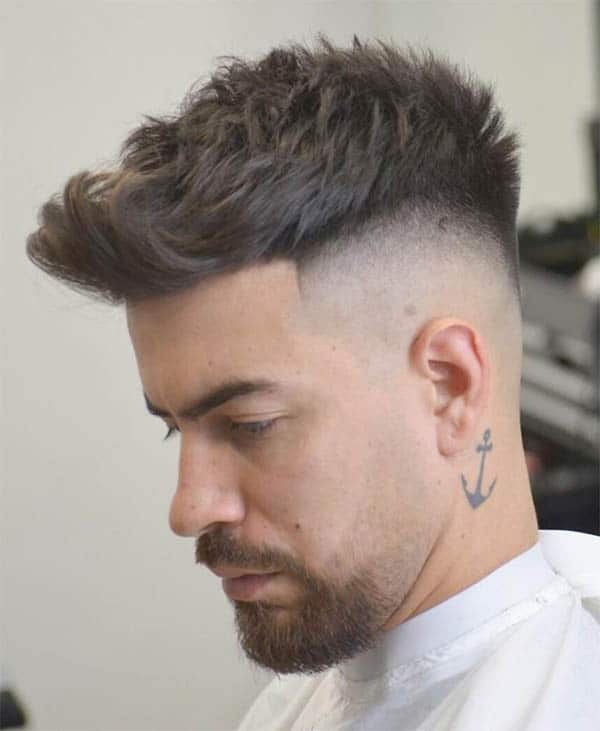 A barber with some styling prowess can style this gorgeous cut and can take the adventure further by attempting some slick back at the top. The wavy hair looks good on different people. 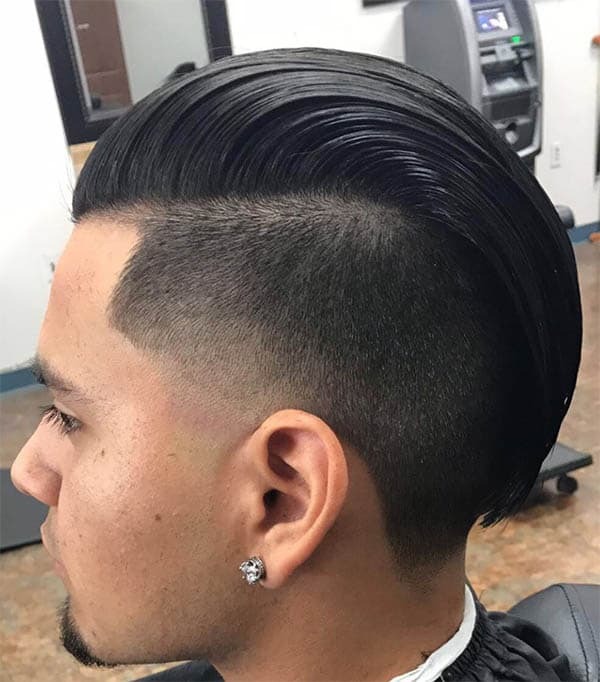 This style is perfect for the man with some hair to show off. Let the curls grow and style them to the side. A tapering at the sides and distinguishes the shorter sides from the long top. The gel is your friend to keep the waves in top shape. The power of a fade in a haircut is not in contest. 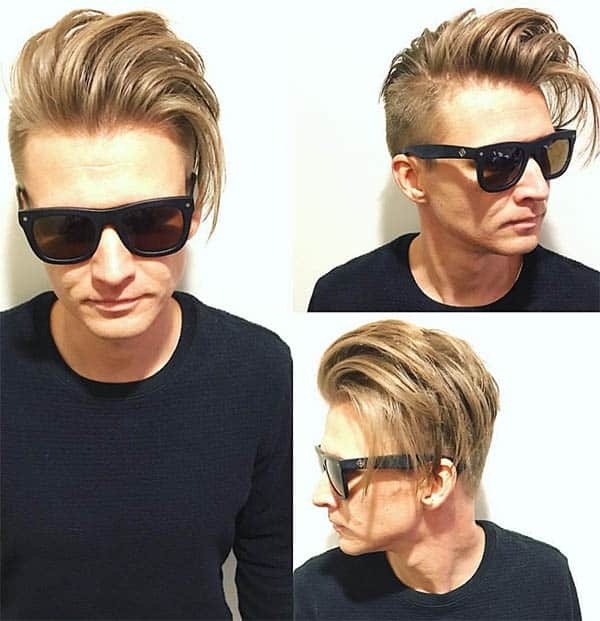 Inspire your barber with this style! While the wavy top slicks back, you can throw in some fades at the sides. 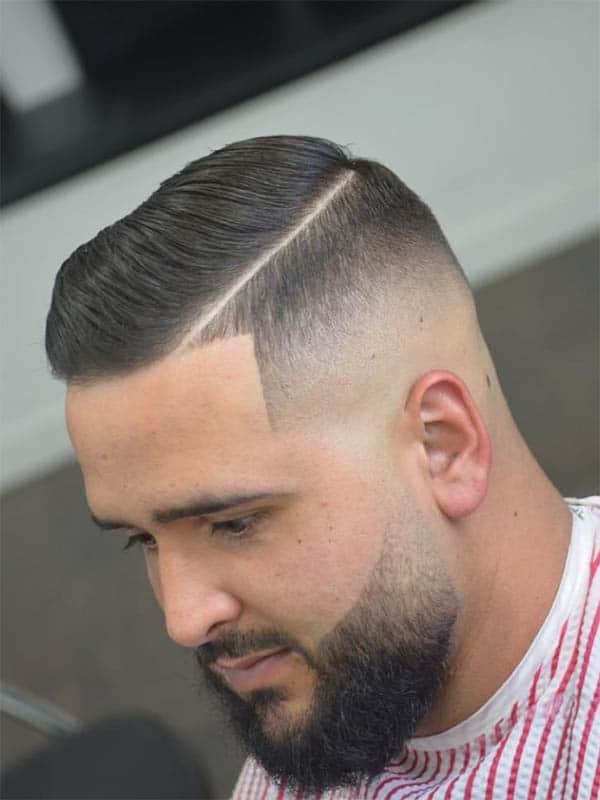 The connected look can be in place and joins the fades to the beard. 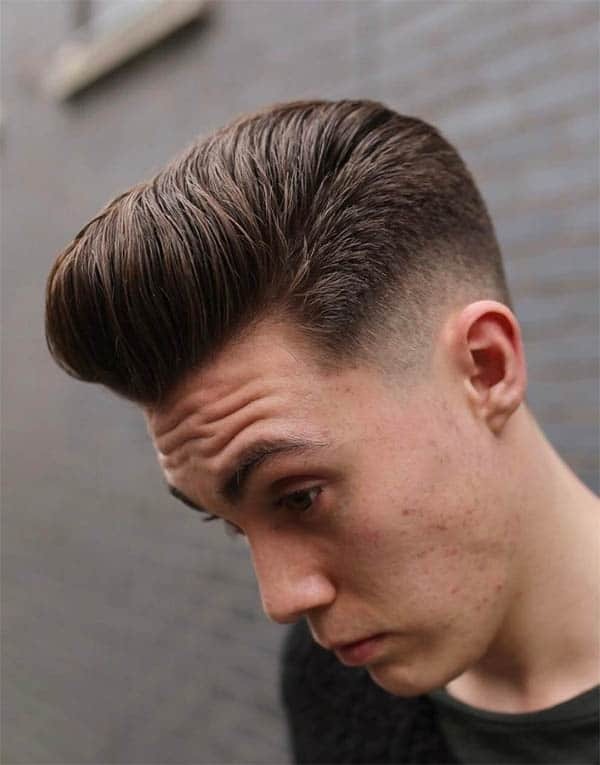 The unique feature of this cut is that you can style into a pompadour or use a side parting to make it stylish. Get back on track with a long quiff. The perfect touch is on men that have long hair. 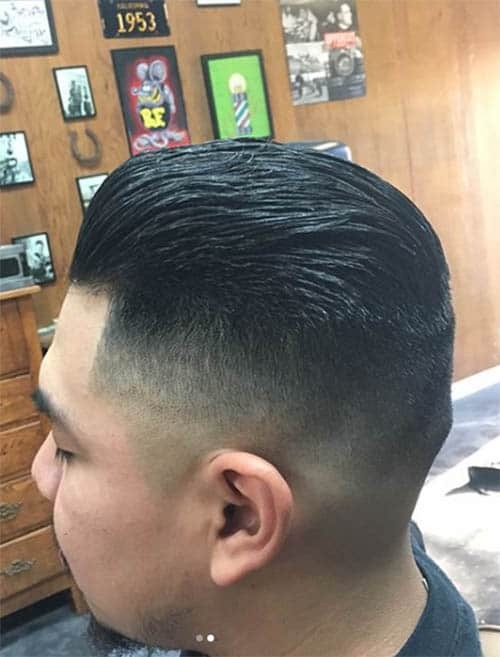 Your barber can show off his skills by throwing the top forward after the cut. 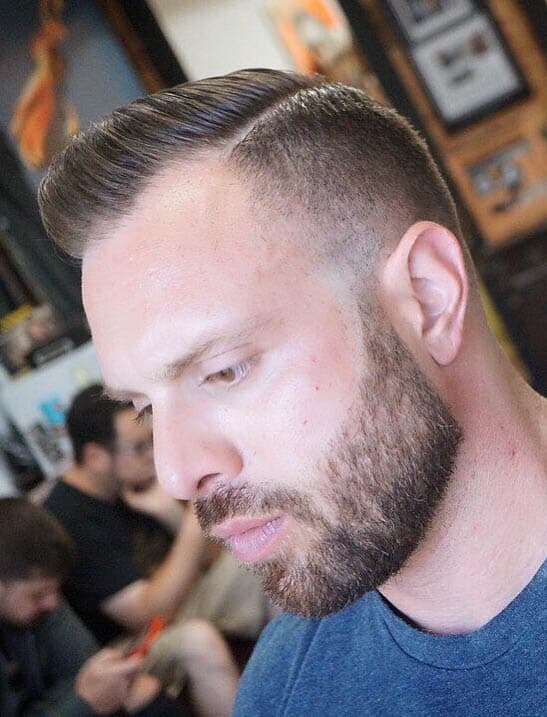 A styling gel and scheduled visits to the barber’s helps you maintain the style. 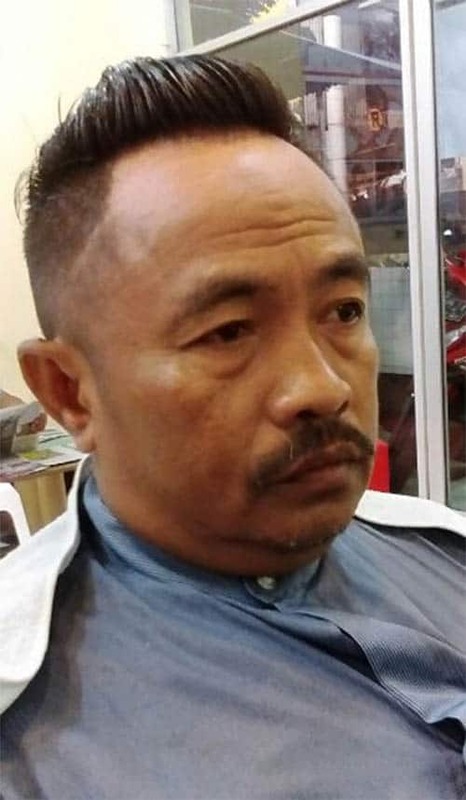 If you do not fancy the traditional undercut or you want to explore some other haircuts, the disconnected look is your friend. The easy-to-style cut looks good on medium and long hairs. Some professional styling will be of essence to keep the cut clean. The slick back haircut is popular but we have not seen much of the slick forward. Reinvent this vintage cut by pushing the hair forward. A bald look at the sides and some beard is perfect. 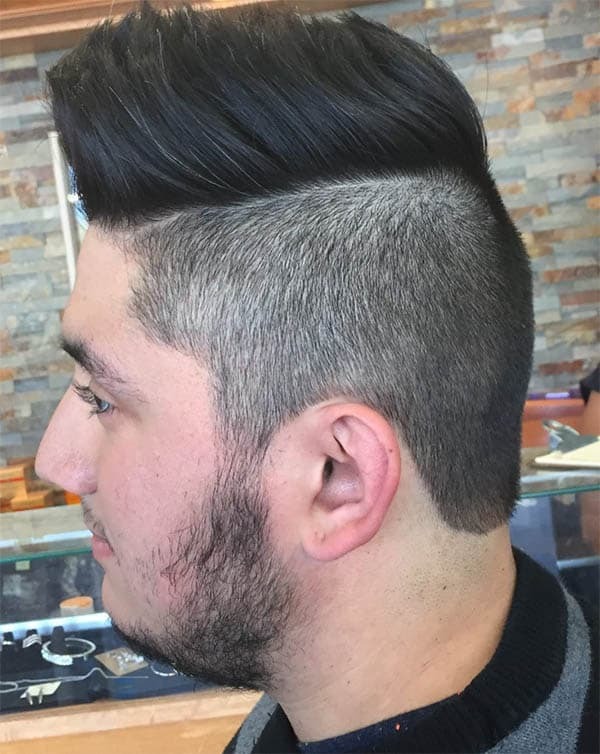 The medium length top is not the conventional hairstyle for men. The long and short top haircuts gain more acceptances. However, you can try your hands on the medium top with an undercut inspiration. 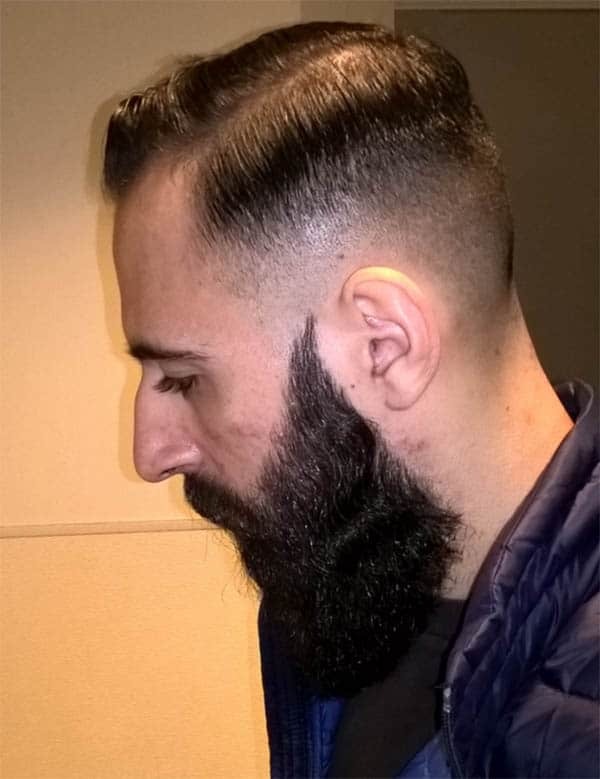 Finish the sides with some fades and rock some beard for a classy look. The undercut hairstyle is here to make you look great. However, a messy top can still enhance your looks. All you have to do is to get some nice undercut and keep the messy top to a side. The comb over is coming back with a bang! 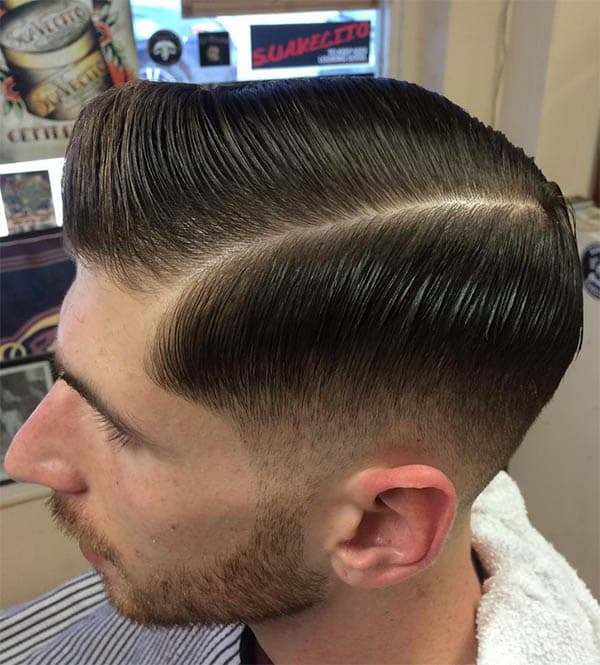 The undercut hairstyle has no restrictions and you can try it with the comb over. This time, consider throwing in some side part to distinguish the top from the medium fades at the sides. Who says the spikes cannot look great when flaunted with an undercut? 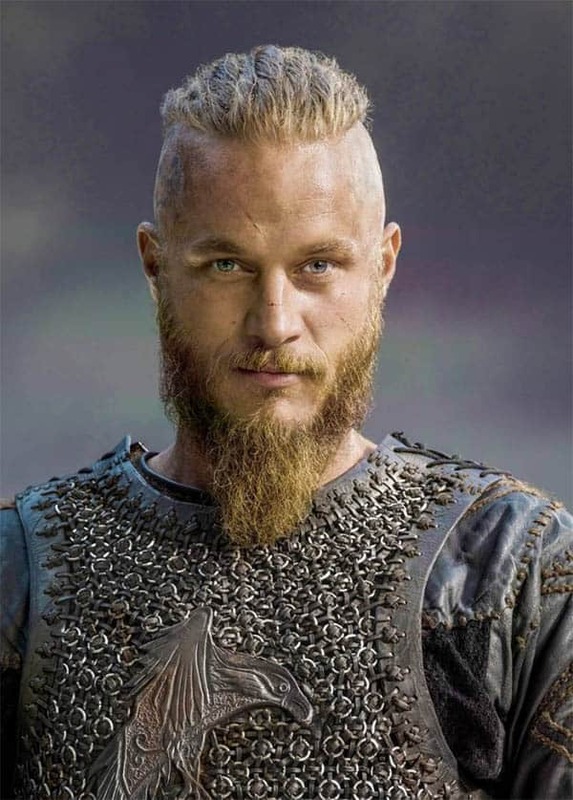 Bring back the valor in the hairstyle by keeping a neat undercut and well-trimmed spikes at the top. The traditional parting at the sides entails a razor line from the front to few meters away from the crown. The side part can actually come in a better way. Talk about innovation! 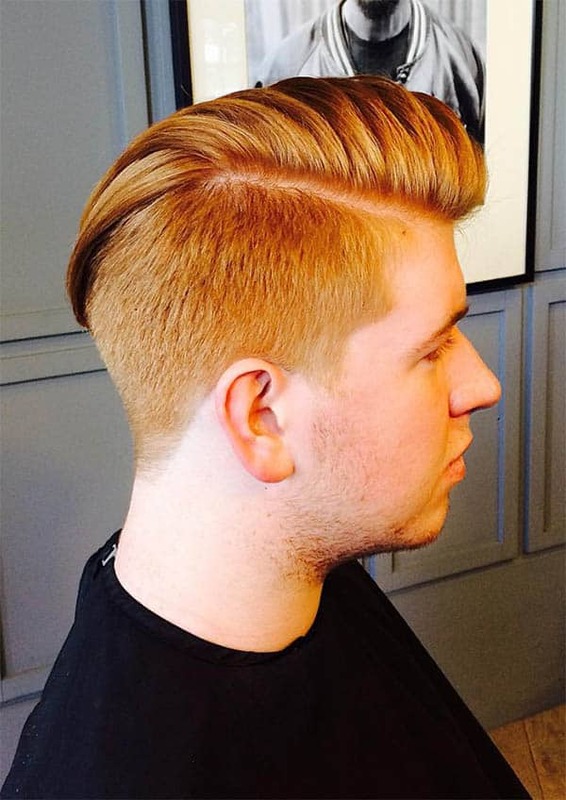 Stand out from the crowd with this impressive undercut featuring curves at the sides. The Faux hairstyle makes a great impression on the undercut. It does not have to be messy to make the deal or be short to look clean. 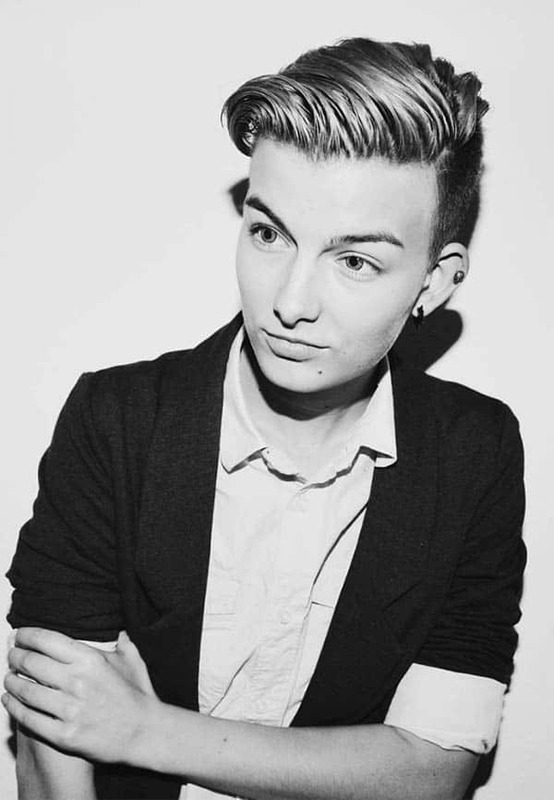 A medium top with some styling with some tapers at the sides makes it obvious that you have an undercut hairstyle. Get out of that impression that braids are for the women! A stylish man can style this and look cool. With the inspiration of the undercut, you can make a lot of fashion statement with your braids. 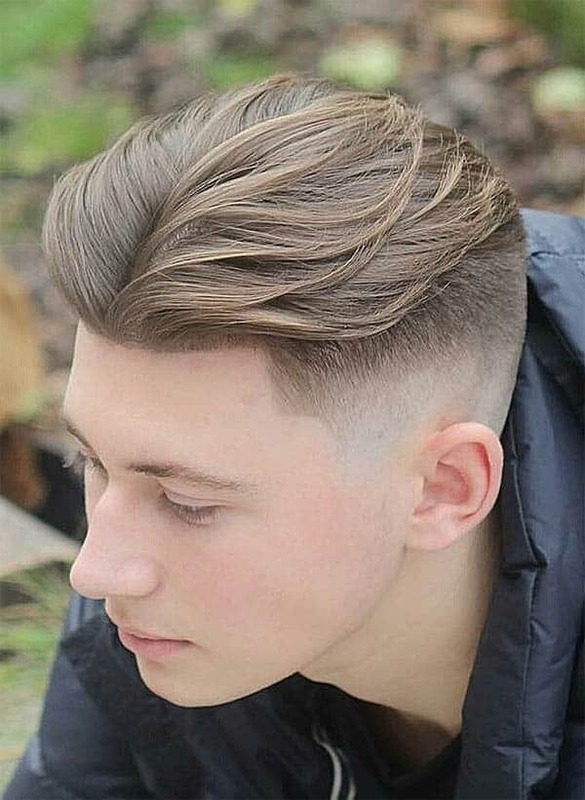 If this cut looks good on medium and long hair, there is no reason why it should look out of place on a thick hair. Get under the clipper and style your thick strands with some stylish undercut touches. 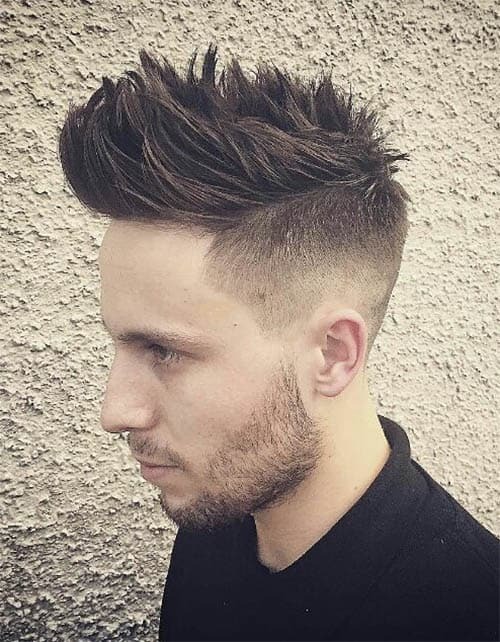 This style is similar to the traditional messy cut. However, the touch of gold that comes through from the undercut makes it look impressive. 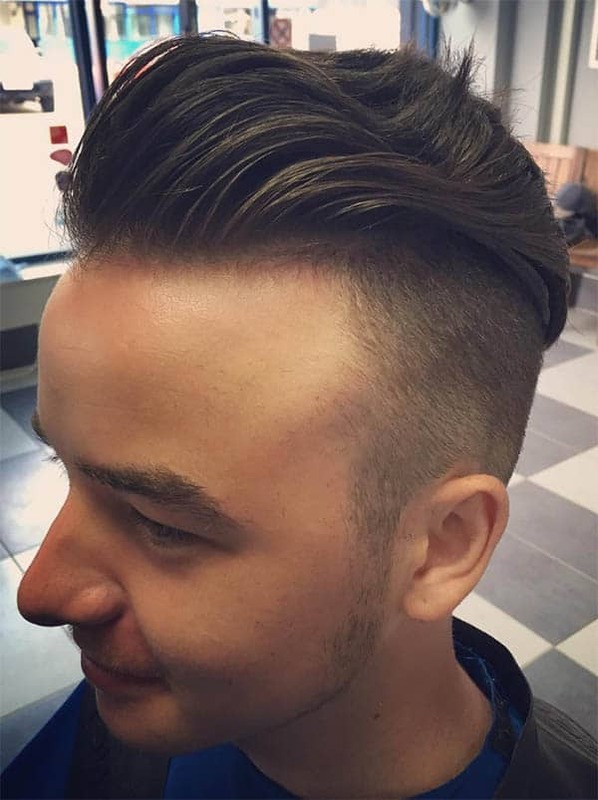 A stylish fade at the sides leaves you with a modern textured hair at the top. Keep a gel handy or make occasional visits to the barber to keep it sleek. There are masters in the game! The classic undercut is the best you can get out there. The style works in all occasions and looks dashing on boys and men. Put up some fades at the sides and side part for some old school reminiscence. The slicked back haircut is taking a new shape with some tapers at the sides. If you have a “colorful” hair (preferably brown), then this style is for you. You will need some good styling products to keep the fine squares in top gear. This brings back the vintage haircuts of warlords in Hollywood movies. The bald sides give you the impression of a tough cookie. The medium-length beard comes in to finish the look. 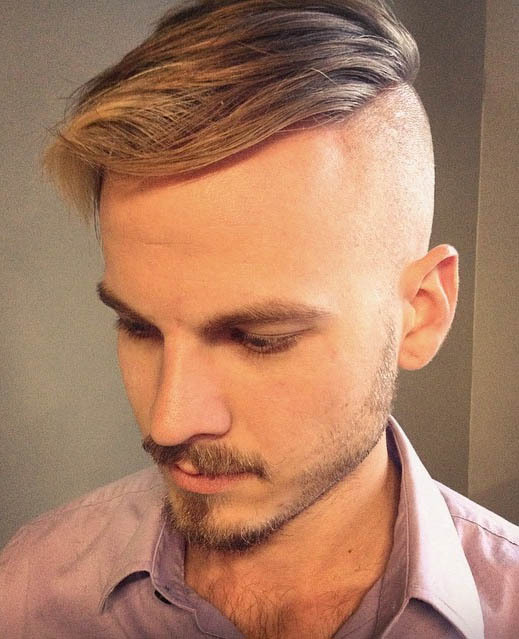 The undercut haircut can take different shapes and this time, it is coming through the blonde haircut. 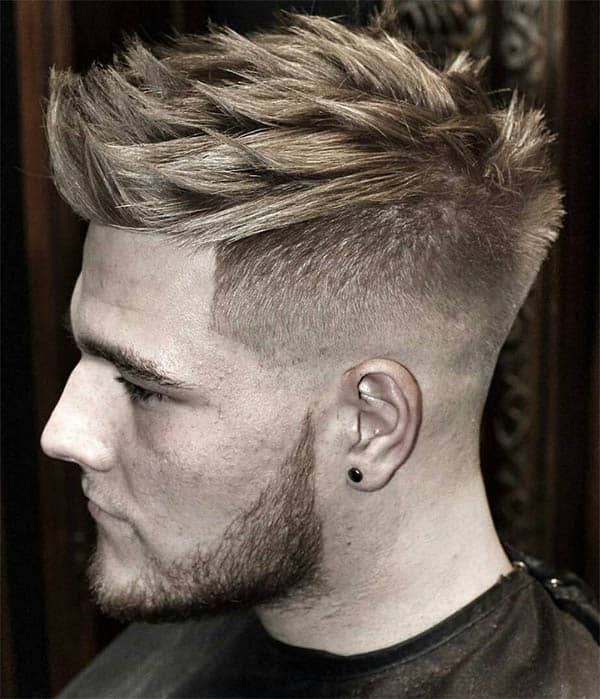 The undercut looks good with a side part that distinguishes the blonde top from the medium fade at the sides. The medium hairstyle with some stylish touches at the top is another way to rock the undercut. 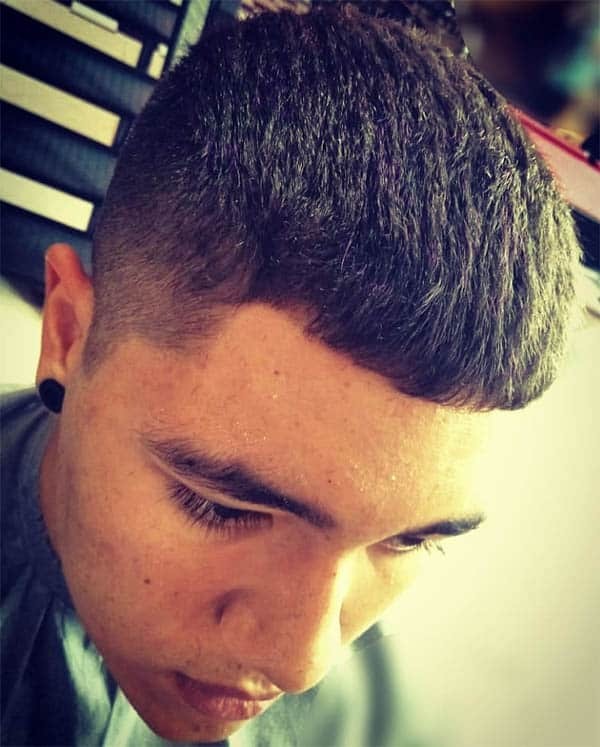 The bottom of the sides can keep the skin fade and the next step takes the medium fade. Throw in some well-trimmed beard to look outstanding. Without a doubt, this style will look on any type of face. 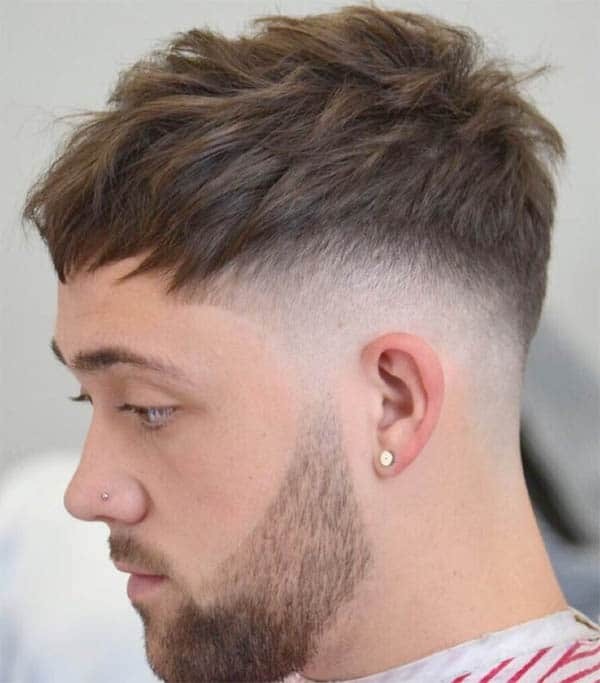 Keep the top at the medium length and throw in some fades at the sides. 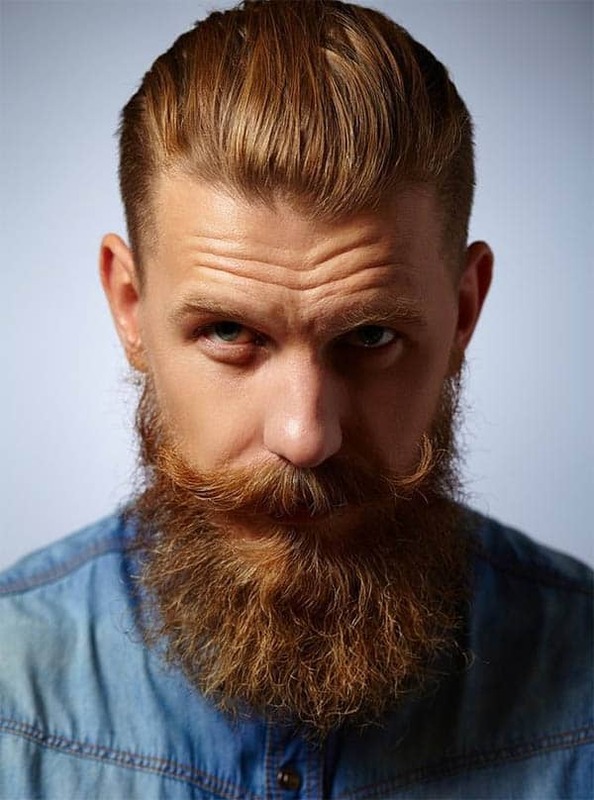 Finish with a razor line at the sides and well-trimmed beard. The quiff looks nice when on the low. 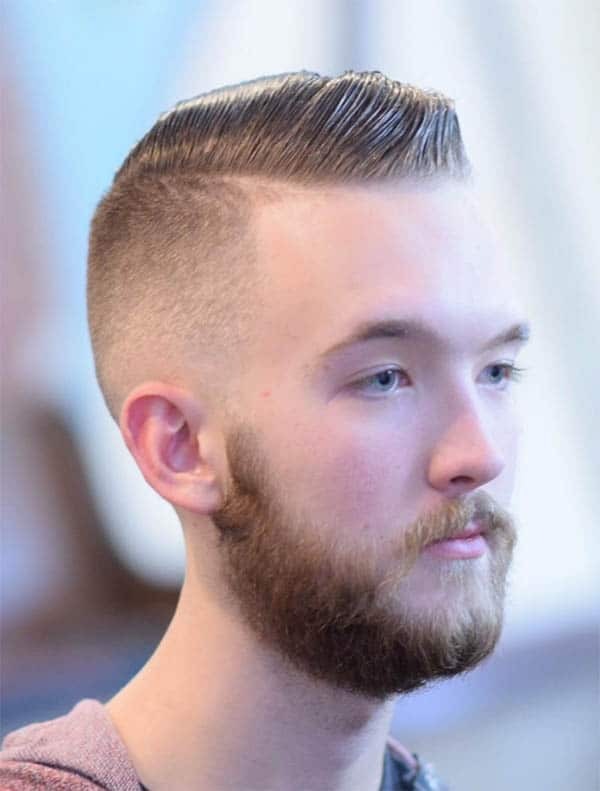 Consider keeping the sides clean with a skin cut and a disconnected look to the beard. A voluminous top does not translate to being untidy. 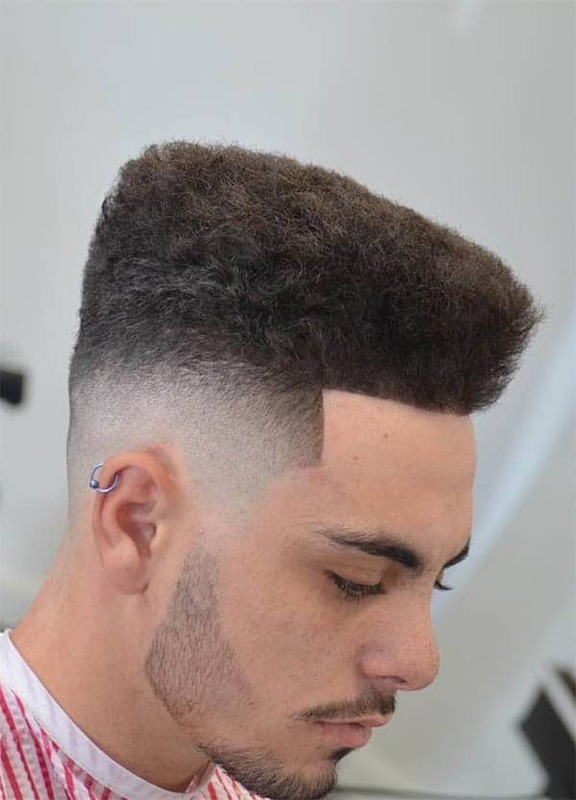 The high top casts away all doubts and drives home the point that skin fades at the sides look good on a voluminous top. The Bangs-inspired cut can take another form with an undercut. A clear cut separates the medium top from the skin fades at the sides. The undercut stretches from the frontline and extends to the nape. Rock your pompadour haircut with a medium-length at the top. 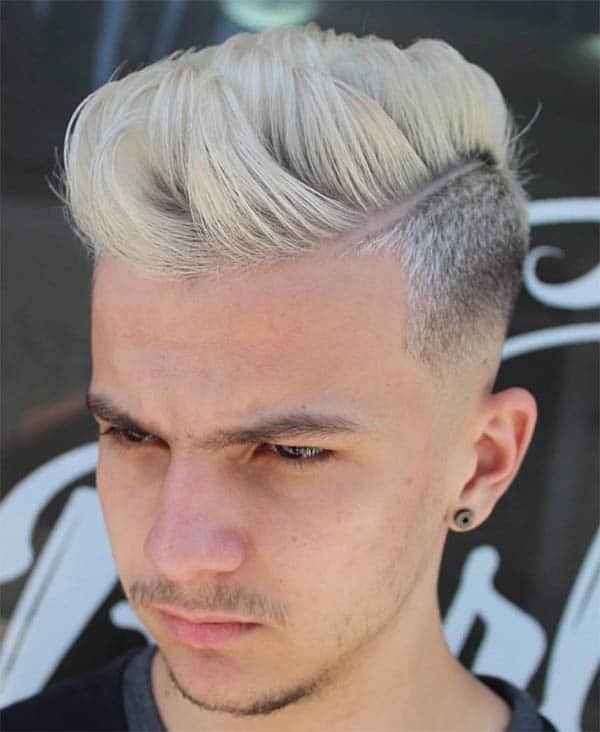 Throw in some medium and skin fades at the sides for a stylish outlook. This disconnected look is not popular but you can make the best out of it. The sides get a few touch of the skin fade. For the top, divide with a razor line and comb the medium strands to the sides. If you some strands to show, try putting them to good use when you style to a side sweep. 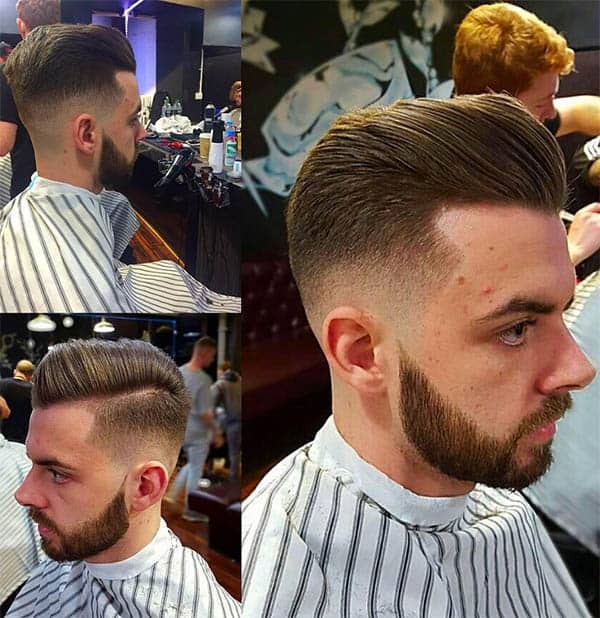 Keep medium fades at the sides and direct your barber to make a great styling with the voluminous top. This is a perfect description that flat haircuts are not always long. A shorter version still looks good and you can add a razor line at the sides to complete the look. You sure have not been seeing this cut. 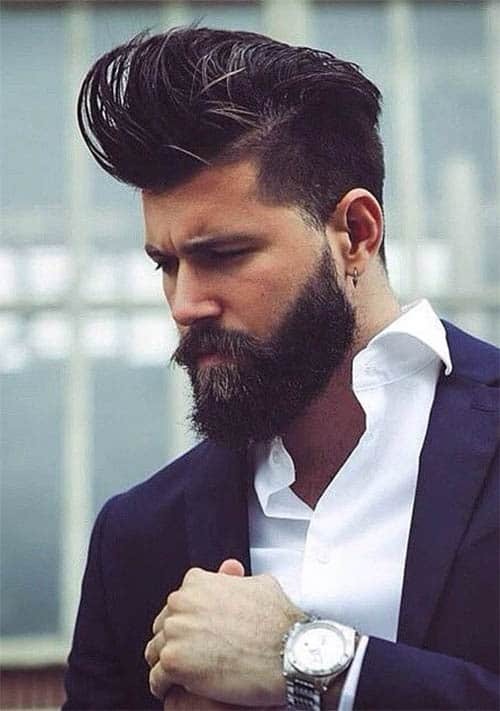 Try rocking some medium pompadour hairstyle and add a back slick for some dashing look. This is no bangs but an undercut with brushed up strands. 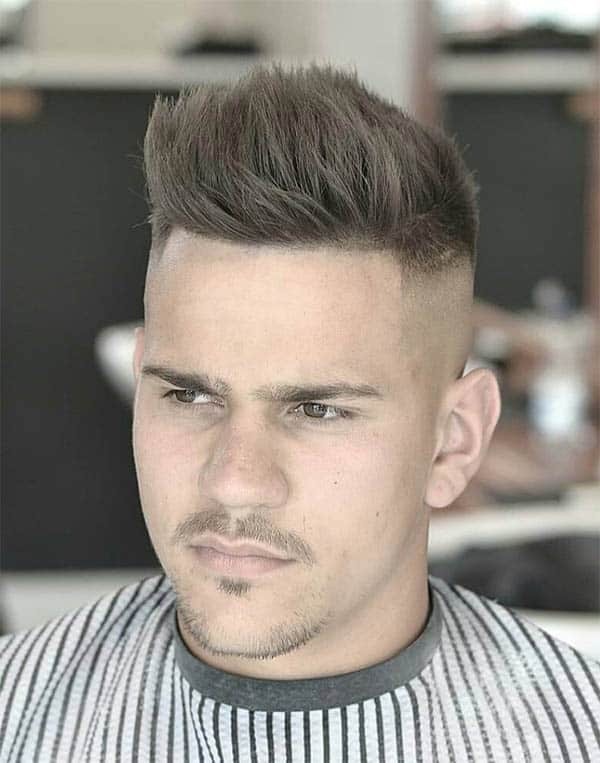 The sides bring out the facial features and look great with medium fades at the sides. Get the party started with some asymmetric touches to your medium-length hair. There is no fuss in styling this and regular styling is all it needs to maintain the adornment. Flaunt your curly strands with an undercut. Tapers the sides and comb the strands to different direction to get the perfect look. You do not need to be aiming for the gun or the uniform before you look smart. 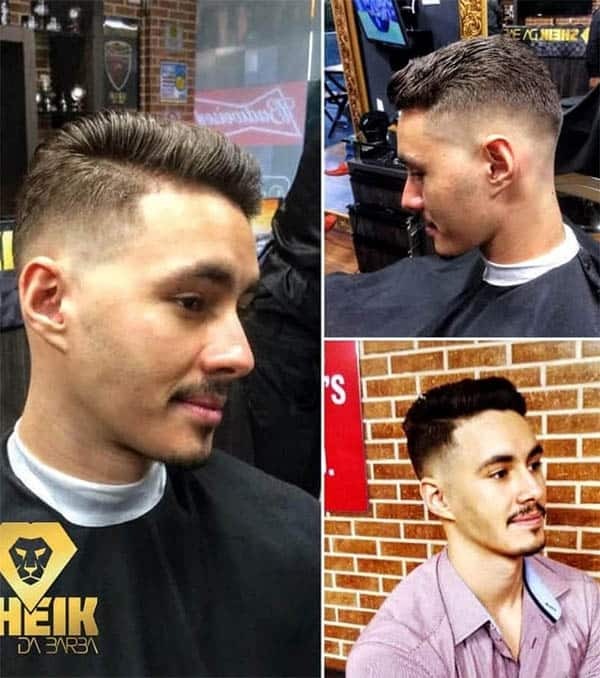 The military haircut comes to roost with the undercut and this is the opportunity for you to “get into the Army” if you have not. 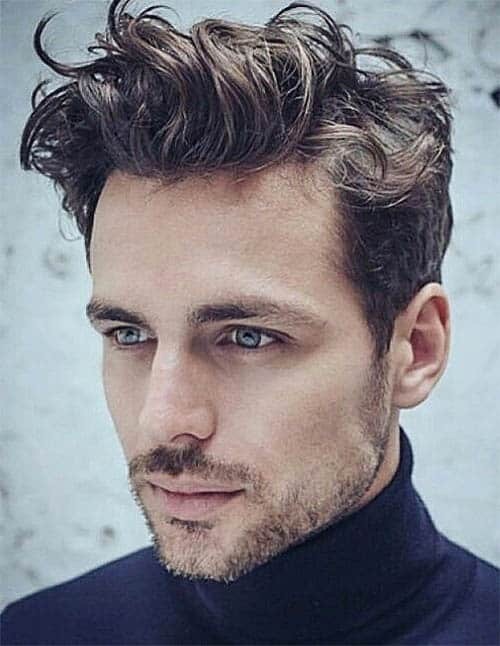 The curls look good on men but there is special styling that brings them out. 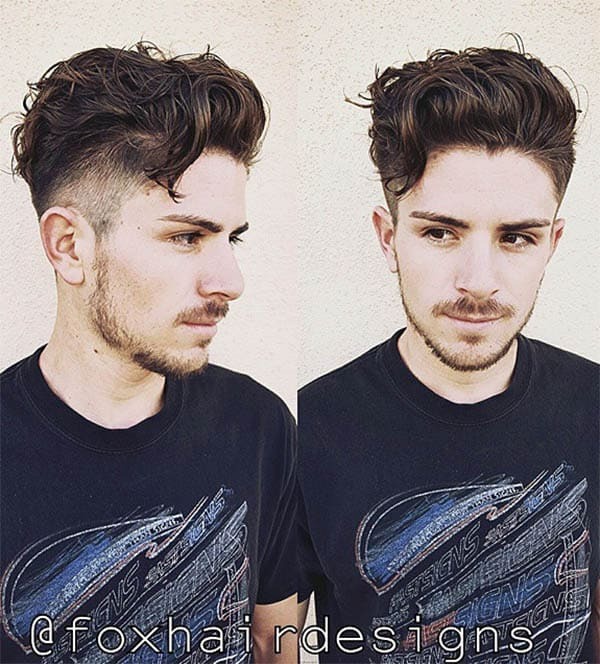 This cut features medium fades at the sides and well-portioned curls at the top. The pompadour haircut is here again. If you are the adventurous type, add two side parts at the sides and attempt some brush back for the top. This is exclusive to men that want to try some haircuts for their round face. This might look like the Caesar cut. However, it takes another route with the introduction of some curls at the top and trimming at the sides. 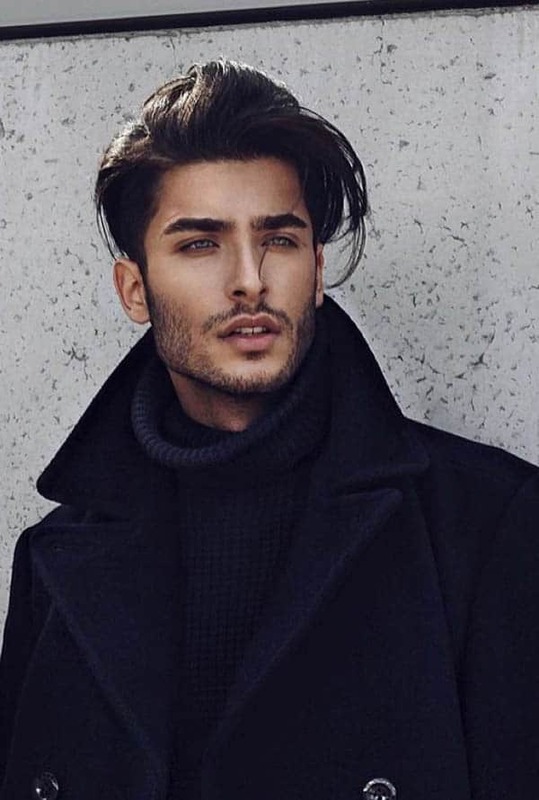 A classy hairstyle is the asset of every stylish man. 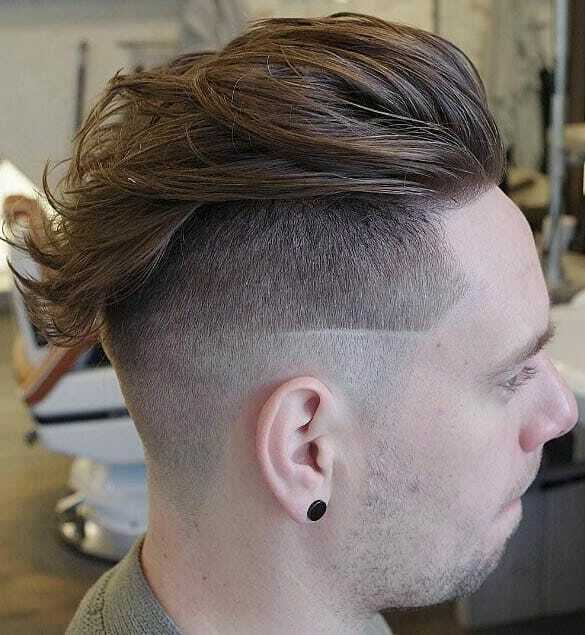 There are many styles to pick from but the undercut haircut is a good option. The style is compatible with many trendy haircuts. What’s more? It won’t take your time. 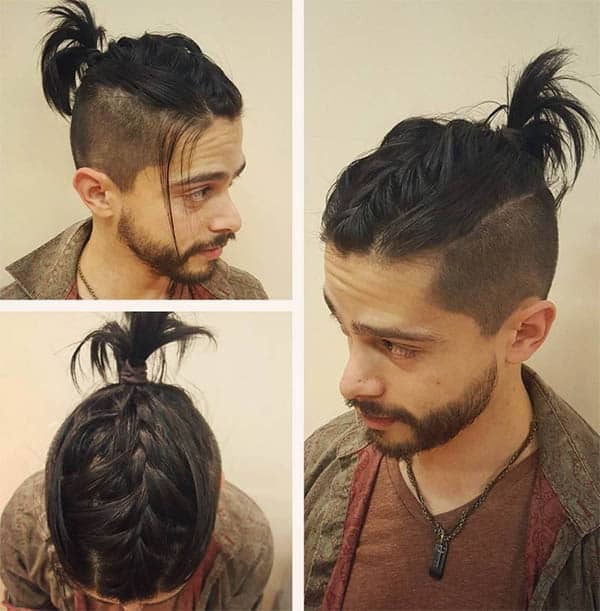 This hairstyle is the darling of many men and more people are taking interest in it. Take cue from the styles in our list and inspire your barber on the next visit.